Madonna Joan of Arc, new track revealed! 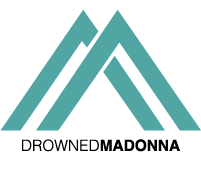 After revealing Wash All Over Me, we at DrownedMadonna.com are very excited to disclose the title and details of another song that Madonna recorded for her upcoming album. It’s called Joan of Arc. Take your handkerchief and get ready to cry. This one is for us… her fans! Joan of Arc is really heartwarming. It is a gorgeous ballad on the guitair in which Madonna shows her fragility. Actually, it is the most vulnerable Madonna has ever been. She asks fans for strength. In Joan of Arc, Madonna‘s vocals are as fabulous as they are in You Must Love Me from Evita. The track talks about how the world expects her to be a hero. Madonna talks about the press, how bad words put her down… and this breaks her heart. There is not a final tracklist yet, but we really hope that Joan of Arc will be included. You are going to love it! Credits: sketch drawn by Rob Jacobs (aka Robster) for DrownedMadonna.com. Madonna (Love You From) Inside Out, new track revealed!